Hanoi (VNA) – New findings on harmful effects of Agent Orange (AO)/dioxin on humans and the environment were released at a workshop in Hanoi on November 24. 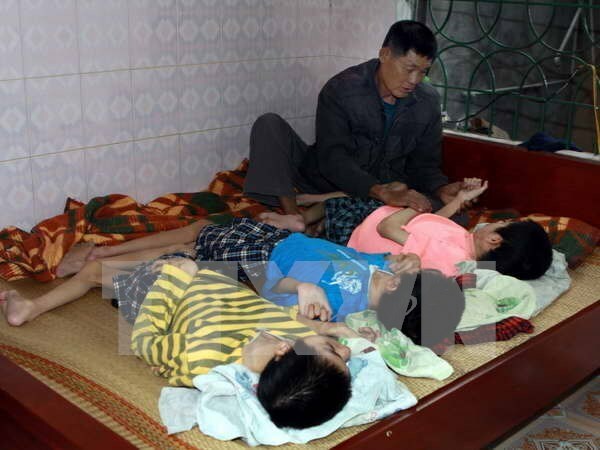 Le Ke Son, Chief of the office of the national steering committee on overcoming the consequences of toxic chemicals used by the US during the war in Vietnam (Office 33), said the latest research outcomes show that dioxin is complicated and harmful. Therefore, the prevention of dioxin contamination requires adequate investment, close connectivity and international cooperation, he said. Son noted that thanks to the attention and resolve of the Vietnamese Government and scientists, dioxin contaminated hot spots at Da Nang, Phu Cat and Bien Hoa airbases have been sealed off for environmental remediation. Reports presented at the workshop focused on measures to surmount the long-term consequences of the toxic chemicals on the environment and human health, birth deformities and reproductive abnormalities in a handful of dioxin contaminated hot spots, and hormone changes among those exposed to dioxin. Delegates stressed the need to increase cooperation between the Vietnamese Government and social organisations, and the international community, especially in the fields of scientific research, support for AO victims and environmental treatment. Scientific studies reveal that dioxin seriously affects the ecological system and human health, causing cancer, damage to the nervous and immune systems, and birth deformities, among others. According to the Vietnam Association of Victims of AO/dioxin, between 1961 and 1971, the US army sprayed 80 million litres of herbicides, including nearly 400 kg of dioxin, onto the southern battlefield. Among 4.8 million people exposed to the toxic chemical, about 3 million are AO victims.